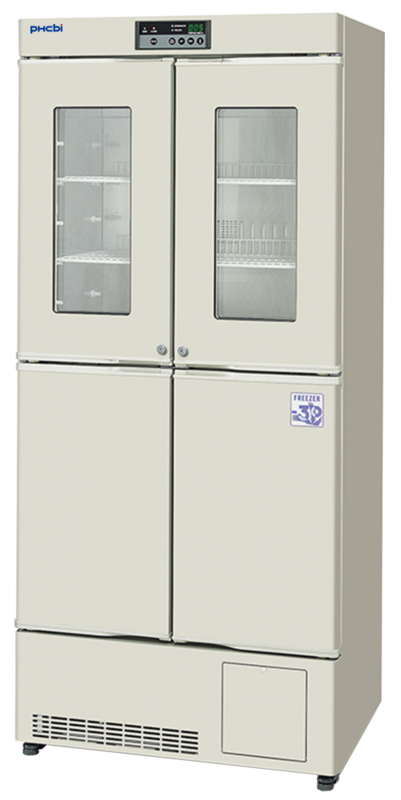 The MPR Series Biomedical Refrigerator and Freezer Combinations from PHC (formerly Panasonic Healthcare) are designed for specific vaccine and biological storage applications, making them ideal for clinics, hospitals, pharmacies, clinical labs, and medical offices. 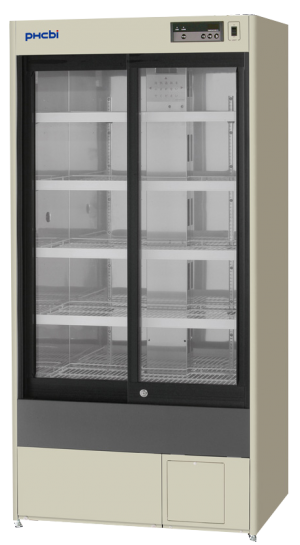 The MPR-414F-PA combines high performance refrigeration with advanced control and alarm monitoring systems as well as energy efficient and cost-effective cabinet design. 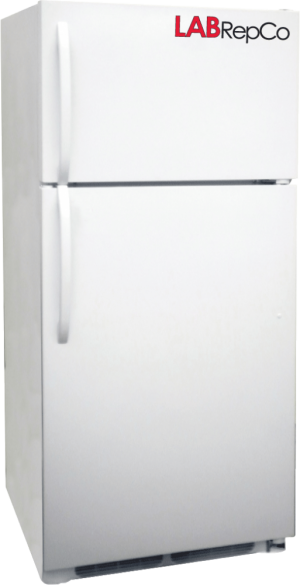 All housed within one unit, the refrigerator uses fan-forced air circulation (cycle defrost) to keep the inner refrigerated cabinet at an average temperature of +4°C while the freezer uses direct cooling (manual defrost) to cool the inner freezer cabinet down to temperatures as low as -30°C. 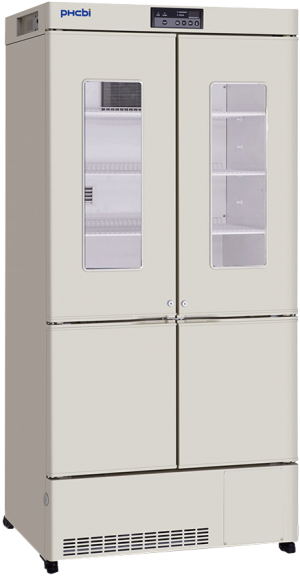 This space-saving refrigerator with freezer features two separate compressors (one for each section), a microprocessor controller, two access ports (one for each section), casters, remote alarm contacts, and key locks. 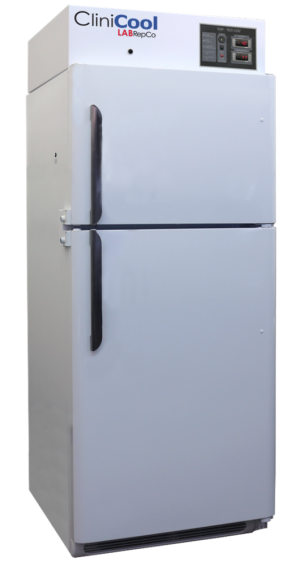 Refrigeration Systems: Separate refrigeration systems and compressors allow differential control of individual refrigerator and freezer compartments. 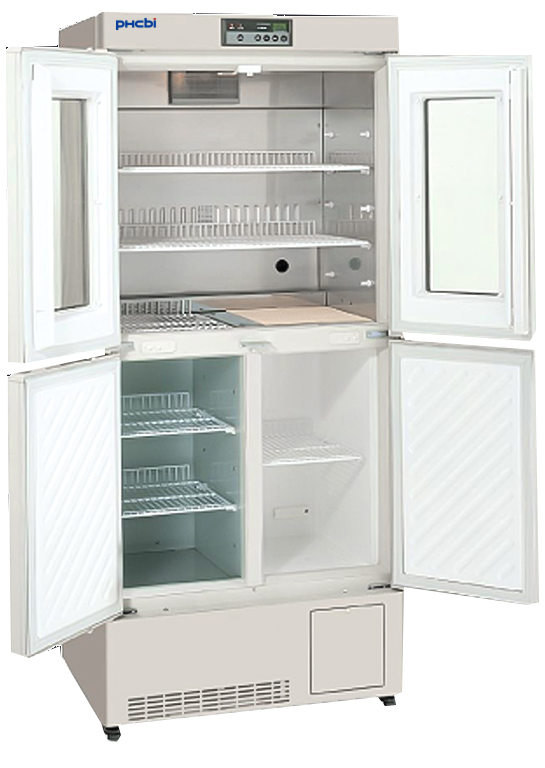 The freezer system maintains temperatures as low as -30°C, while the refrigerator system allows for temperatures between 2°C to 8°C. Microprocessor Controls: Comprehensive set point, alarm, monitoring and diagnostic functions are maintained by PHC-built microprocessor controller with digital display of all critical functions. 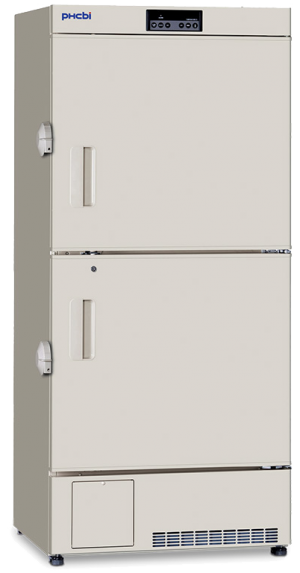 The MPR series combo units have two separate specially designed compressors for the refrigerator and the freezer sections and offers quiet operation. 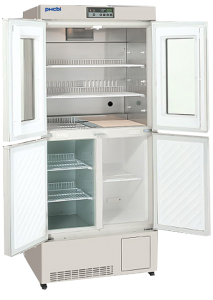 Temperature Uniformity: Refrigeration systems designed for precise and stable vaccine and biological storage. 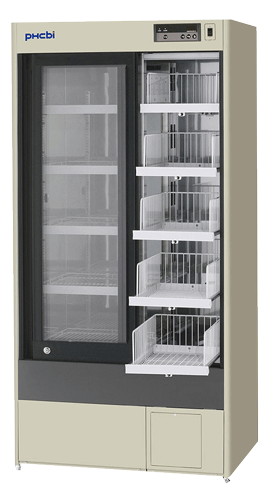 Energy Savings: Energy-saving storage solutions for uniformity and reliability with dual temperature zones.